I do love me some good Thai food. And now there is a great new Thai joint on my favorite street in NYC, Bond Street. It's called Fish Cheeks, and it's absolutely delicious. With dishes with great flavor and great spice, you might sweat a little, but it's worth it. Of the small plates, Calamari is fried with cilantro and dried red chili and tossed in a tamarind, fish sauce glaze. Steamed mussels come with lemongrass, galangal, and Thai sweet basil. The Hat Yai Fried Chicken, which is deep fried chicken with shallot, served with sweet chili sauce, is greatness. Order it. 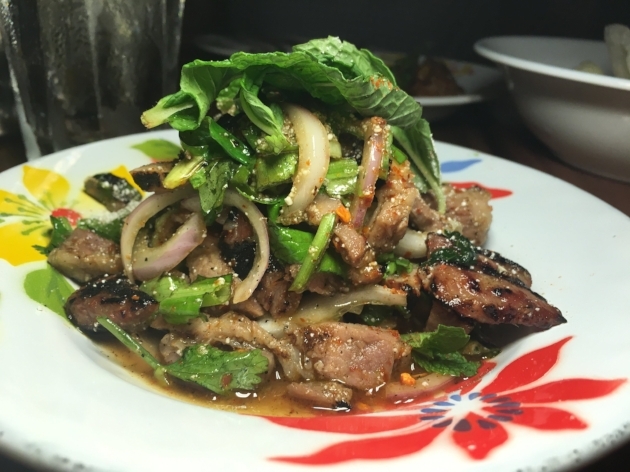 My favorite small plate was Nam Tok Pork, grilled pork, roasted rice, shallot, scallion, cilantro, and chili. Order this too, and your taste buds will thank you later. 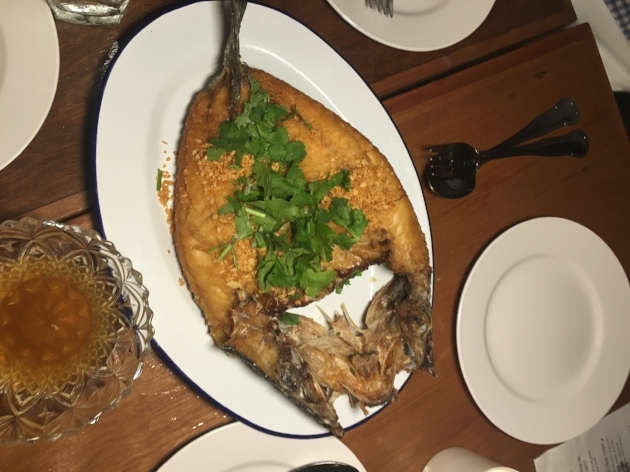 Do not skip the Crispy Garlic Branzino with Fish Sauce, it's outstanding. You're going to love Fish Cheeks, I know I did.